ASIC’s Adrian Brown: said some liquidator’s relationships with pre-insolvency advisors of concern. 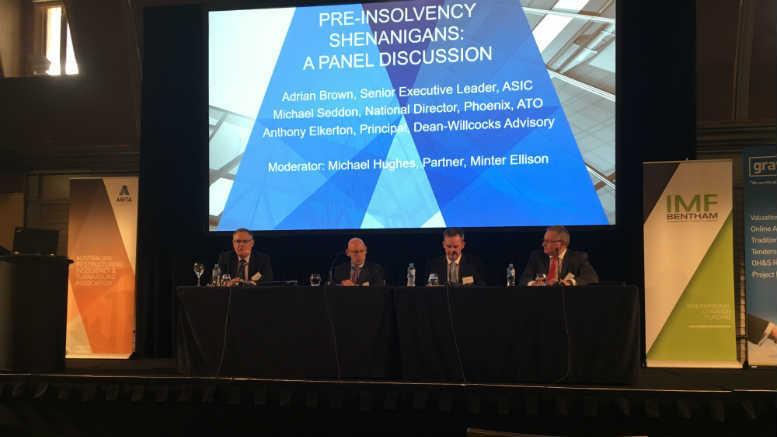 The latest mail on what regulators are doing to combat illegal phoenix activity was delivered yesterday at the Westin Hotel during a panel discussion for the Australian Restructuring Insolvency & Turnaround Association’s (ARITA) NSW/ACT divisional conference. A multi-agency approach, utilising big data cross matched and shared, is where it’s at, delegates heard. Michael Seddon from the Australian Taxation Office (ATO) talked about the anti-phoenix task force and how by collating each agency’s “top 50 problem children” from a phoenix perspective, a list of targets had been identified. “In that initial tranche of work we found 23 that had cross-agency problems and the phoenix task force has decided to move forward on a significant number of those,” he said. “Where we want to get to with intelligence and referrals is that we want to be dealing with them in real time, as they arise,” he said. Adrian Brown from the Australian Securities and Investments Commission (ASIC) talked about relationships between registered liquidators and pre-insolvency advisors and how data matching was used to profile those practitioners the regulator believes are at risk. “When we exchange information with the ATO and other agencies we’re starting to get a deeper picture about those relationships and when we consider our risk profiling of liquidators we’re concerned about certain of the firms obtaining that work. “When we look at certain of those firms, the risk profile of certain of liquidators at certain of those firms does concern us,” he said. As that sank in discussion mediator Michael Hughes from Minter Ellison sought clarity: “Just to be clear, these are on the one hand the pre-insolvency advisors and a relationship that you’re starting to match up with registered liquidators? “Yes,” Brown said before adding: “Of itself is that a problem? If the liquidator is doing his or her job and can meet the requirements of independence not only in the ARITA code but in the law – noting the decision in the Walton Constructions matter – and they can tick that one off and do their job, then is that a problem? 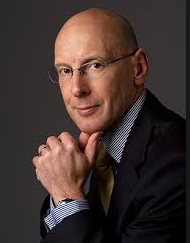 “What concerns us is what we see as a problem with independence and a problem with what at first blush might look like a lack of competence but may also be interpreted as wilful blindness,” Brown said. The lone liquidator on the panel, Anthony Elkerton from Dean-Willcocks Advisory, said registered liquidators were concerned that the publicity around phoenix task force raids targeting pre-insolvency advisors meant legitimate practitioners were being “tarred with the same brush”. “The general public doesn’t know the difference between a pre-insolvency advisor and an insolvency advisor so it may erode some confidence in the industry itself,” he said. Further exacerbating the potential for doubt among the general public was the sector’s seemingly close association with the key industry bodies. Elkerton said that in his preparations for the panel discussion he had run a google search on the phrase “pre-insolvency” and found that all the firms listed on the first three pages of his search carried the ARITA logo on their web pages. What came through most strongly was that the ATO and ASIC are using their information gathering powers and big data to extend their influence into what is an unregulated space. Seddon said this will in turn drive out those operators who are not criminals. Then it will become a matter of better use of proceeds of crime legislation to “hit them where it hurts”. Gaoling them, Seddon said, would have little effect and was only a part of the solution. Given the impregnability of family trusts and the ability of bankrupts to live comfortability from ill-gotten gains, better use of proceeds of crime legislation may well be where the ultimate challenge lies, but that’s a topic for another panel. 4 Comments on "Pre-insolvency shenanigans unveiled"
Cross Agency collaboration and data matching? Really, how about you just act on the thousands of complaints that practitioners lodge in relation to director and adviser breaches. What’s the bet that if you drilled down into the $8.5M ASIC claim is spent on “Liquidator supervision and regulation”, that $8M is spent on cross agency collaboration and data matching. That $8.5M is of course the amount that needs to be recovered from practitioners via user pays and licensing. At the end of the day cross agency collaboration and data matching isn’t worth a pinch of the proverbial if you don’t have the ticker, the skils or the cajones to go after directors who do the wrong thing. Thank you Mr Palmer’s alter ego. The so-called “problems” with pre-insolvency advisers has been around for decades. In 1987 the Bankruptcy Act Part X was amended to try to control the activities of a number of unqualified people who were providing advice. This problem has in recent years resurfaced. The real difficulty is determining whether the advice is being given by appropriately qualified people or mere “introducers” who give misleading unqualified advice quite often in the name of an insolvency practitioner and in many cases without the knowledge or approval of the insolvency practitioner. In those cases the real question is the closeness of the dealings between the “introducer” and the insolvency practitioner. The vast majority of insolvency practitioners do adhere to the professional guidelines particularly those associated with “independence”. I have said too much on this already but while ever we focus at the end of the process, we are not going to get far. The law provides an up-front environment for directors [unidentified if they like] to set up companies and trusts, with little regulation along the way, including in relation to their tax and employee obligations. When things start to look bad, they just pick up their assets and move on. We then focus on the insolvency practitioners of the 10,000 companies going under each year, and ASIC, and expect some retribution and recompense. Bring in director identity numbers, beneficial ownership disclosures, single touch payroll, and open access to ASIC databases. Then we can start to focus on the 100,000 companies that just drop off the register each year with who knows what in their history.